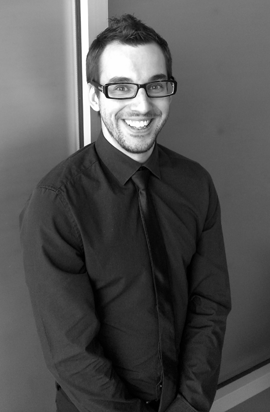 How can our Interaction Designer help YOU?! How can our Interaction Designer help YOU? As the lead interaction designer at Push, my primary job is to ensure we build the right app. This includes ensuring the app solves the business needs of our clients, while providing a pleasant, efficient, and effective experience for your users. More to the point, my job is to help you create the product you are picturing in your mind. In this post, I describe five parts of my job showing how I can help your business create the best app. Some app ideas are so good, they have already been done! After years of designing apps, I have a keen idea of what is out there and, more importantly, what is not out there. I can provide you with new ideas, different approaches, or alternate business models you may not have thought of. Generally, we have two kinds of potential clients. Many come to us with just a seed idea (e.g., “I want to use digital forms in our office”), and require a structure around the seed idea to make it an app. Based on my previous experience, and on the research described above, I can help you visualize what a full app experience could look like. The other kinds of clients are the “We need an app” type. This often happens when a competitor releases a product, and the potential client now feels the need to one-up the competition. These are my favourite clients, as they are often open to novel ideas and openly encourage me to think of ways of truly enriching their users’ experiences. These are also challenging, as just reproducing existing functionality from a website does not make for a very compelling user experience. One main benefit of working with Push Interactions is that we can completely customize an app to fit within your existing branding. This includes obvious elements such as logos, fonts, and colours, but also includes the marketing copy (e.g., specific terms in your industry) and the feel of the app experience. If your company is playful and relaxed, the app experience should follow, being less rigid than say one for a bank. Of course many of our potential clients are creating a company from scratch, and thus do not have existing branding. We can help you with that as well! My background in human computer interaction (a specialization of computer science) means that my primary focus is on the people, instead of on the technology. My design philosophy is simplicity: apps should be straightforward, by reducing interface complexity as much as possible. Often, this means sticking to established patterns, replicating how other apps already function on that platform, while still pulling in appropriate branding and experience as described above. This is a challenging component of good app design, and I’m happy to take on this challenge for your product. With my background in computer science and design, I can also be your bridge between our developers, your product team, and any IT staff you have that will be involved in the app development. During development, I am your champion, ensuring that decisions made during development match our discussions, that our app will fulfill the business needs you are focusing on, and that your users will have the best experience. Creating a good app is hard, and is what we specialize in at Push. We have an incredible set of developers that love solving hard problems and creating novel user experiences to solve real business needs. As the lead interaction designer, I strongly believe I can help your business by working with your product and IT teams to create the best possible user experience.